Navigator's cycle counting module allows stocktake to be broken into smaller tasks, which may be completed without having to close the warehouse. 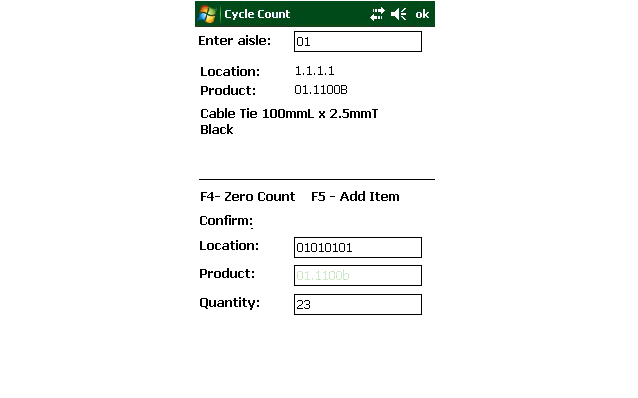 Cycle count jobs can be created manually, for specific stock codes, or automatically based on the time since the last count was performed. Ensure your inventory levels are accurate through incremental counting. Embed cycle counting within picking, put away or replenishment. Remove the need for a 'closed warehouse' end of year stocktake. Automatically schedule stock counts by bin.